Sweet Fiber Sock Club 2015! After a brief hiatus in 2014, I'm happy to announce that our annual Sweet Fiber Sock Club is back! Join us this summer as I create exciting colourways for our new line of variegated sock yarn colours coming this Fall. Now's your chance to be one of the first to get their hands on some of these unique colourways and a few experiments that will only be available in this club. The colourways are top secret for now and will only be revealed once everyone has received their monthly package. There will be colourways for everyone in this club, from shocking pinks and ocean blues to stunning neutrals, and each colourway will love grey in a way I can't quite yet reveal. For those of you in search of a hint, I've included a few drawings of what will be inspiring the colourways in this year's logo. And for those of you following sweetfiber on Instagram, you may have notice a particular post of a certain sock I've been working on. It is currently unconfirmed if it will in fact be an official sock club colourway, but it does point in the direct that this year's club will be going in. Okay, enough hints! This is top secret stuff. In addition to gorgeous sock yarn I have some fabulous extras planned for this year, including coordinating stitch markers and a very special custom printed bag by yours truly. We'll also be running a "Sock-A-Long" over in the Sweet Fiber Lounge Ravelry group with a chance to win some exciting prizes. And to top it off, each month will include a very special coupon code for the Sweet Fiber online shop! Club memberships go on sale Friday, April 10th at 5pm pacific / 8pm eastern in our new online shop. There are a limited number of memberships available so be sure to sign up early to guarantee your spot! You may wish to create an account early to help speed up the checkout process. Below you'll find the break down of the club pricing. Due to the extra labour and time required to create each uniquely variegated colourway they will cost slightly more than our regular Super Sweet Sock colourways. All pricing is in Canadian Dollars and the full balance for the club is due at check out. For those of you purchasing from the US, you will notice you end up paying significantly less as the result of the current CAD/USD exchange rate. Due to the nature of a monthly sock club, all Sweet Fiber club memberships are a final sale. If you have any questions about this club, be sure to email us before Friday and we'll get back to you as soon as we can! Shipping, applicable taxes and duties are extra. Babies in little cashmere sweaters? It doesn't get better than that! The talented duo over at Tin Can Knits have done it again with their newest collection, Max and Bodhi's Wardrobe. This is the first pattern in the collection that will be released over the next several months, with a new pattern available every two weeks. Playdate is designed with our highly coveted Cashmerino 20 sock yarn in the popular Sea Glass, Spanish Coin and Canary colourways. It's sized from newborn all the way up to adult, so both you and the little ones in your life can enjoy this classic cardigan design. In celebration of the new pattern release we have added a limited amount of dyed to order options for the Cashmerino 20 and Super Sweet Sock yarn bases to our new online store. More about the pattern and the collection can be found in the latest Tin Can Knits blog post. "I find my babies are always in need of a classic cardigan in their wardrobe. They can wear it over a button down onesie for a semi-formal affair or throw it on over a t-shirt for a casual tea with friends." A full list of sizing and yardage requirements can be found in the pattern PDF or here on Ravelry. You may require more or less yarn depending on your gauge and any adjustments you may make. I'm excited to announce that I will be teaching more Sweet Fiber classes at 88 Stitches this winter! Below you will find a brief outline of each of the classes I will be offering in February and March. You can view the whole class schedule here or in-store at 88 Stitches. Registration must be done in person at 88 Stitches with either a cheque or cash for each individual instructor, unfortunately they cannot accept registrations over the phone. Please take a moment to review their class policies before registering. Space is limited so be sure to stop by soon! 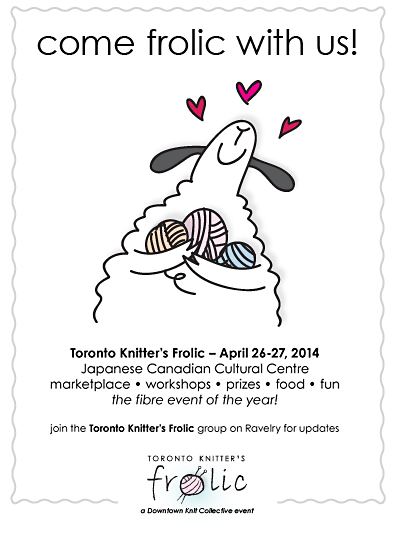 Join us this weekend at the Japanese Canadian Cultural Centre in Toronto, ON for The Knitter's Frolic! This past month I've been putting together a collection of new Spring 2014 colourways and working with a new base yarn. The new colourways are a collection of six colours I have been experimenting with for awhile now. I'm excited to be able to offer them full time on all of our bases for both wholesale orders and pre-sale orders. They're light, refreshing and perfect for spring. These colourways have been photographed on our newest yarn, Coastal. Coastal is a luxurious 50/50 blend of superwash merino and silk. 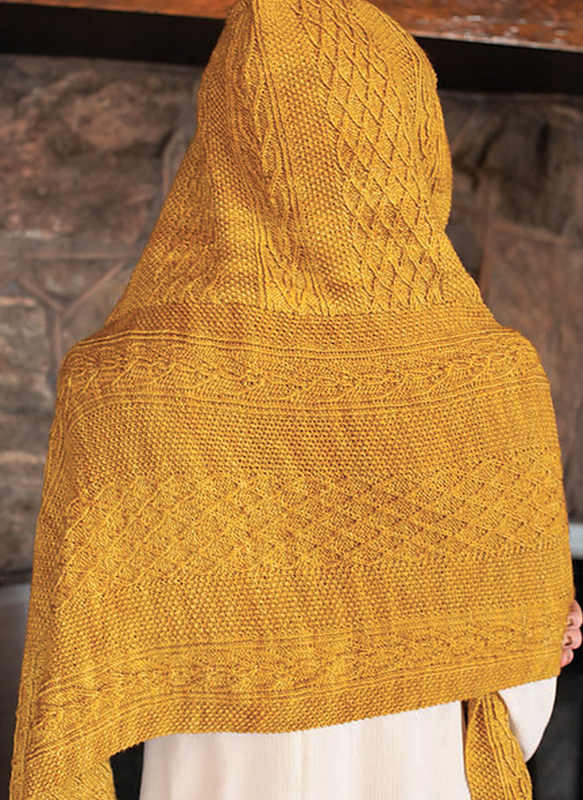 It knits as both a dk and light worsted weight and can be used for almost any project. The silk gives it shimmer, drape and strength while the merino adds loft and body. It really is the perfect blend. We'll be debuting Coastal along with our new colourways at The Knitter's Frolic next weekend. Be sure to stop by booth #21 to check them out! For those of you unable to make it to the show, keep an eye on your inbox as we will be adding Coastal Pre-Orders to the online shop shortly.